This entry was posted in Algebra and tagged 6 years old, pattern, patterns, Tabitha. Bookmark the permalink. 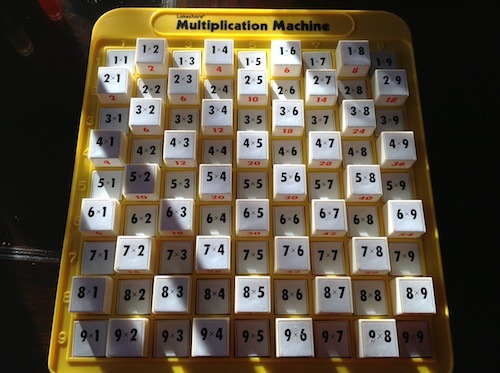 Where can I find this multiplication machine? It looks fascinating. We got ours through Lakeshore Learning, David. Probably available on Amazon, too. Pingback: Math Teachers at Play #70 | Let's Play Math! Awesome conversation! I love finding this as I can use it as an example of how to incorporate the Standards of Math Practice into classroom lessons!